In the last post I gave an apology, based upon Jesus' own parables, for using pirates, who were violent people, to make comparisons with the kingdom of God. 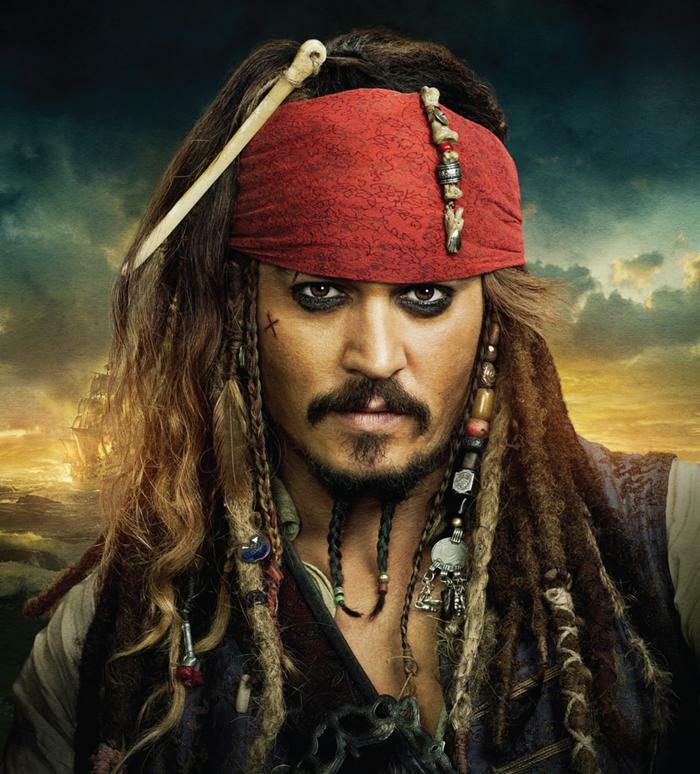 But before we get to those comparisons I want to pause to consider the curious case of Captain Jack Sparrow. In generations past when we thought of pirates we thought of Long John Silver or Captain Hook, both fitting the violent pirate mold. But today when we think of pirates the first pirate that comes to mind is Captain Jack Sparrow from The Pirates of the Caribbean movies. Sparrow is a trickster who uses wit and deceit to attain his goals, preferring to end disputes verbally instead of by force. The trickster is a well known character in literature and myth. Generally, the trickster is in a position of weakness and therefore is needing to use wit, intelligence, words and wiles to get the best of the strong and powerful. Captain Jack Sparrow is one of these tricksters. So if we are going to talk about a theology of pirates we need to ponder how the kingdom of God is like the most famous pirate of our time. How is the kingdom of God like Captain Jack Sparrow? How is the kingdom of God like a trickster? As I've written about before on this blog, we find the trickster at work in a variety of biblical stories. One I've written about is how Abraham tricks two pagan kings. We often get hung up on this text because we moralize it. Abraham told a lie and treated Sarah shamefully. But we don't get any hint of that moralization in the text. Abraham, the weak, overcomes the strong through his deception. Abraham wins by being a trickster. Of course, our feminist sensibilities bristle at the story in Genesis 20, but we're much more comfortable with the story of Tamar and Judah in Genesis 38. In that story Tamar, the weak one, acts as a trickster, using deception to overcome Judah, the strong one. Beaten by Tamar Judah confesses, "She is more righteous than I." Another female trickster is Esther and how she overcomes Haman. So the kingdom of God is like a trickster. This is a point I make in my book Reviving Old Scratch. In Reviving Old Scratch I make the observation that the kingdom of God, being rooted in self-giving love, places itself in a position of weakness in the world (1 Cor. 1.25). Consequently, the kingdom of God fights its battles with the world as tricksters, using intelligence, wit and words rather than through force and violence. It is like we have said, the kingdom of God is like a pirate. Even a pirate like Captain Jack Sparrow.